Grammy-nominated and two-time BAFTA-winning composer Austin Wintory’s diverse career has straddled the worlds of concert music, film, and video games. In 2012, Austin's soundtrack for the hit PlayStation3 game Journey became the first-ever Grammy-nominated videogame score, also winning two British Academy Awards, a DICE Award, a Spike TV VGA, and IGN’s “Overall Music of the Year,” along with five Game Audio Network Guild awards, and a host of others. Excerpts from the score have been performed all over the world since its release, including by such as ensembles as the National Symphony, San Francisco Symphony, Colorado Symphony, Melbourne Symphony, and Pacific Symphony. Austin’s score for the earlier game flow made him the youngest composer ever to receive a British Academy Award nomination and also won him a wide variety of other game industry accolades, including the Game Audio Network Guild’s “Rookie of the Year.” An orchestral version of this music has been performed at the Smithsonian Museum as a part of their “Art of Games” exhibit; flOw is currently on display at MoMA in New York City. Since Journey's release Austin's subsequent scores to The Banner Saga, Assassin's Creed Syndicate and Abzu each earning BAFTA nominations, and numerous additional awards, including two wins of the peer-voted ASCAP "Video Game Score of the Year" and Game Audio Network Guild's "Music of the Year." He collaborates regularly with orchestras and chamber ensembles around the world, including recently embarking on a 3-year "Composer in Residence" partnership with the West Michigan and Mobile Symphonies, and has been regularly touring the chamber show "Journey LIVE" with the Chicago-based Fifth House Ensemble. Pocketwatch Games presents TOOTH AND TAIL available now on Windows, MacOS, Linux and PlayStation 4. 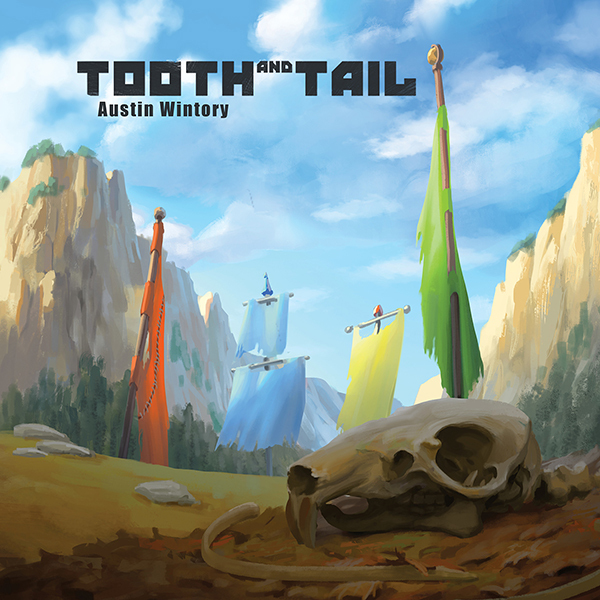 Varèse Sarabande will release the TOOTH AND TAIL – Original Video Game Soundtrack on CD November 3 and LP in December.